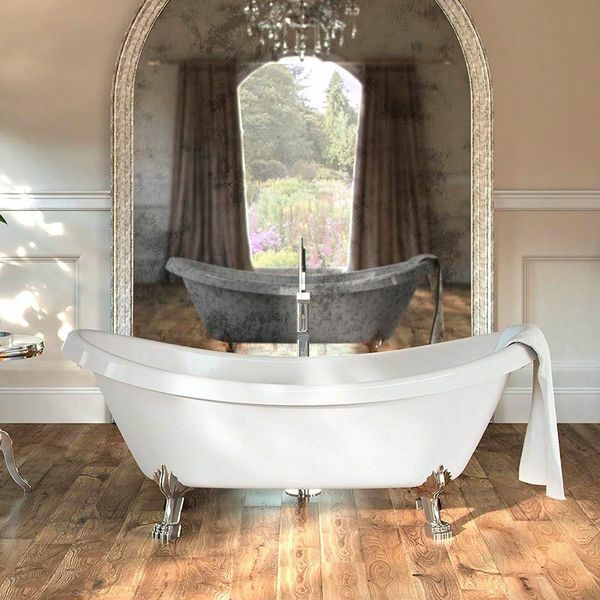 The OVE Clawfoot 66-Inch Freestanding Acrylic Bathtub has that Old World look that is incredibly elegant with its highly detailed solid bronze legs. The feet are finished in chrome, giving them a silver tone that has the texture of an antique. The tub itself is fashioned out of heavy-duty reinforced fiberglass. The Kingston Brass Aqua Eden 67″ Slipper Acrylic Tub brings black and white together for a dramatic, elegant look that will bring beauty to the bathroom. 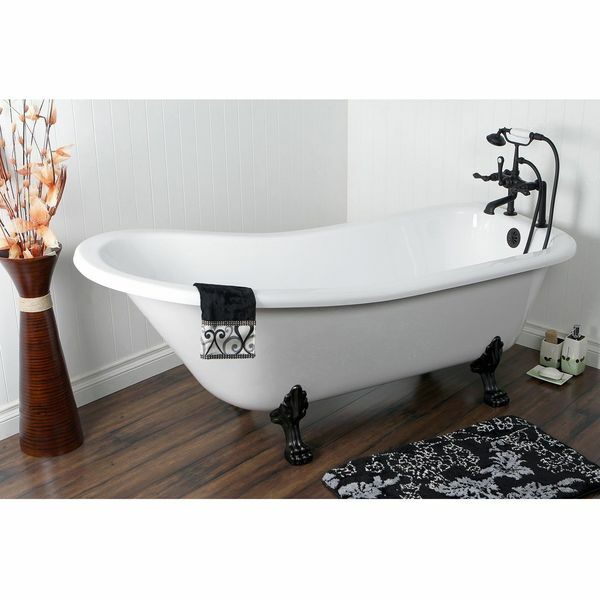 The ornate feet on the tub are constructed out of corrosion-proof aluminum finished with a black powder coating. The tub is fashioned out of acrylic in snowy white. Put a warm, luxurious finishing touch on your bathroom decor with the Barclay COTDRN31-AC-AC Picasso Double Roll Top Tub. Constructed out of solid 16-gauge copper inside and out, the tub is hammered to give it an intriguing texture and hand polished to perfection. This tub will become even more beautiful with age as it takes on a natural patina. 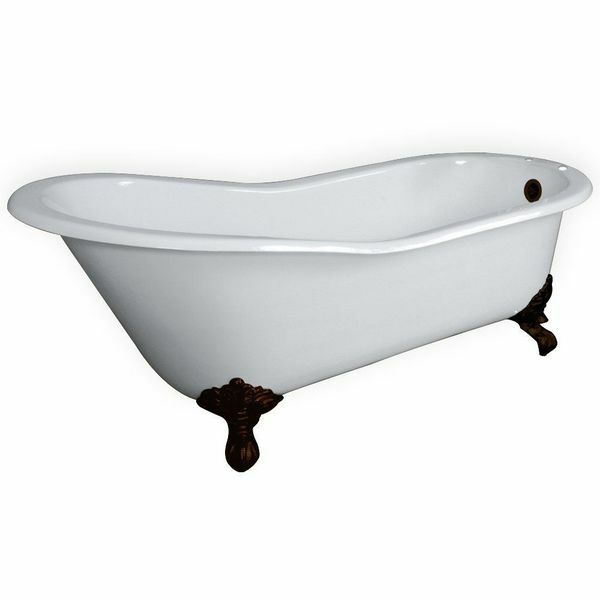 Get the antique look in your bathroom without spending a fortune for a genuine antique tub with the 61″ Cast Iron Slipper Tub. 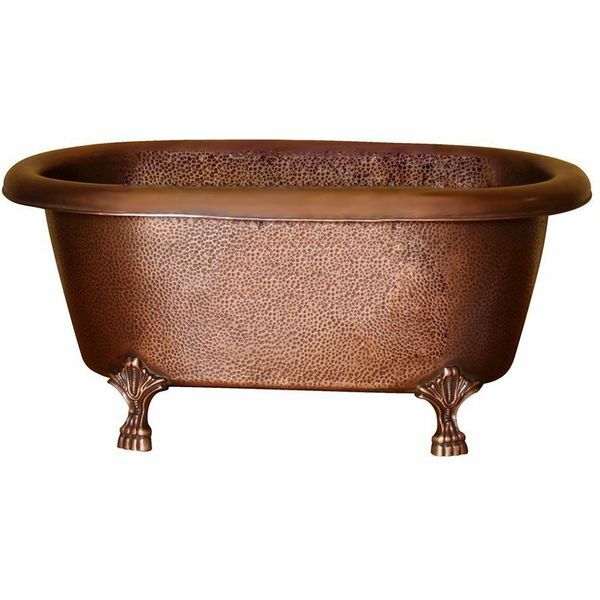 This handsomely crafted tub features cast iron feet that are meticulously oil rubbed to create a dark, rich finish. The 46-gallon tub has a luxurious white porcelain interior. 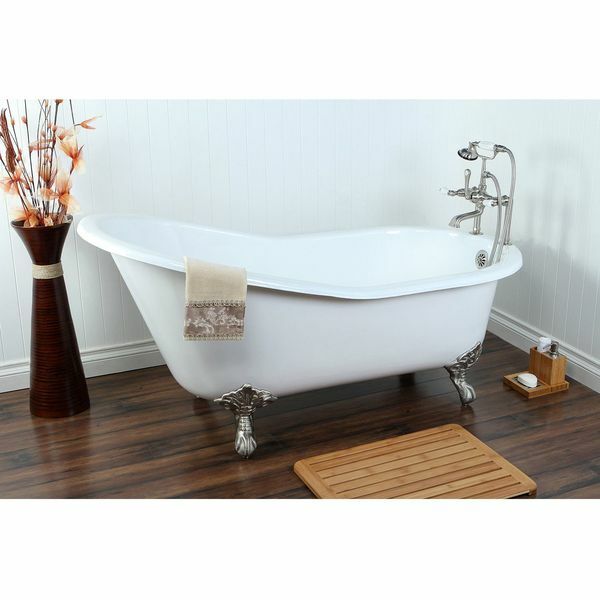 The Kingston Brass Aqua Eden VCT7D653129B1 Cast Iron Slipper Bath Tub has an elegant look with its white porcelain enamel interior and snowy white exterior finish. Supported by anti-slide cast slippers with a light chromed finish, this tub is a safe, chic solution that will instantly elevate the decor of any bathroom. 4 foot power cord. 110v electrical outlet required. Get all of the appeal of a vintage bathroom when you incorporate this Traditional Oval Acrylic Freestanding Clawfoot Tub into your space. The freestanding bathtub features a classic curved shape and is supported by vintage claw feet, which have been finished in a shining silver color.